Bathroom design can be criminally underrated. 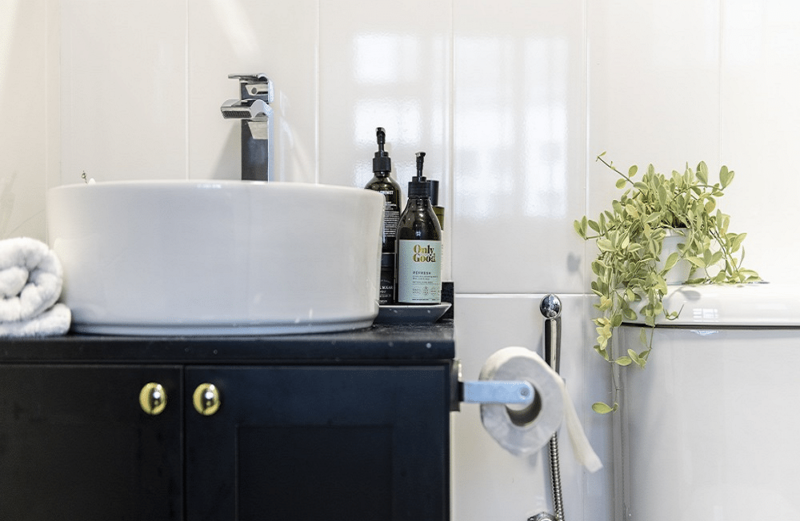 Homeowners tend to overlook all the small details that go into designing the perfect bathroom in lieu of all the bigger aspects like fixture selection and such. However, designing your dream bathroom requires much more than selecting the perfect vanity sink or a gorgeous tile combination. Here are 5 awesome and useful bathroom designing tips straight from the pros. You won’t really understand the importance of a shower cabin until you’re bathing in an empty, unrestricted space with water splashing everywhere. It doubles the maintenance time and costs. 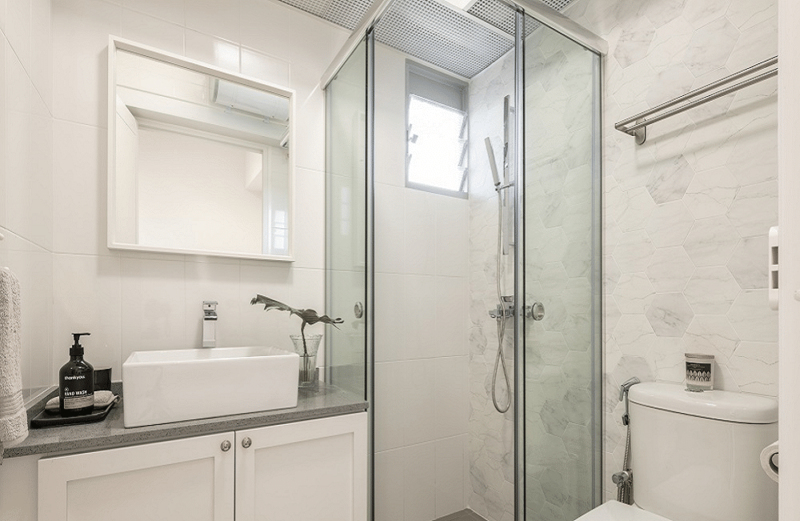 So no matter how small your bathroom, always make sure that the shower area is at least 1 or 2 inches below the actual tile level and that it’s backed up by some glass partitions to contain all that pesky water splash! Another design detail that you must always pay special attention to in a bathroom is where to place the toilet paper stand. The ideal location for such an essential is always on the right wall beside the WC. 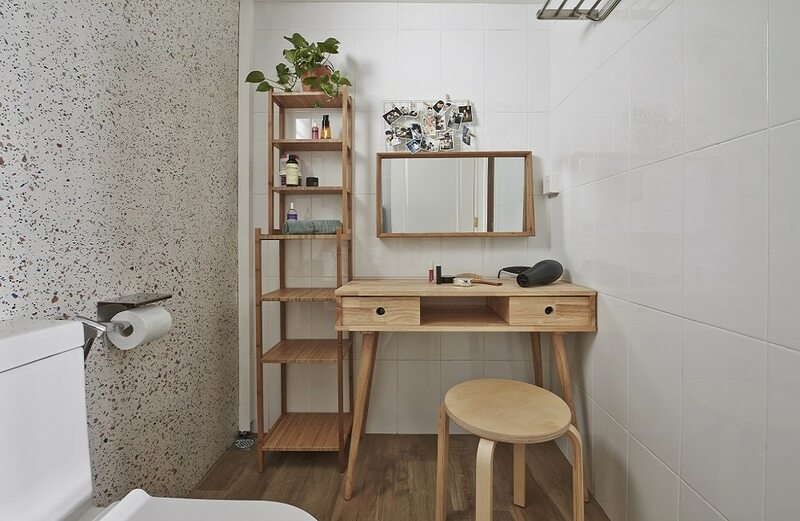 However, if for some reason that wall is unavailable, you can attach it to your vanity as well, as shown in this image. The worst place you can secure your toilet paper handle is beside the tank of your WC – it’s cramped and unreachable and you’ll definitely pull a muscle while reaching for it. 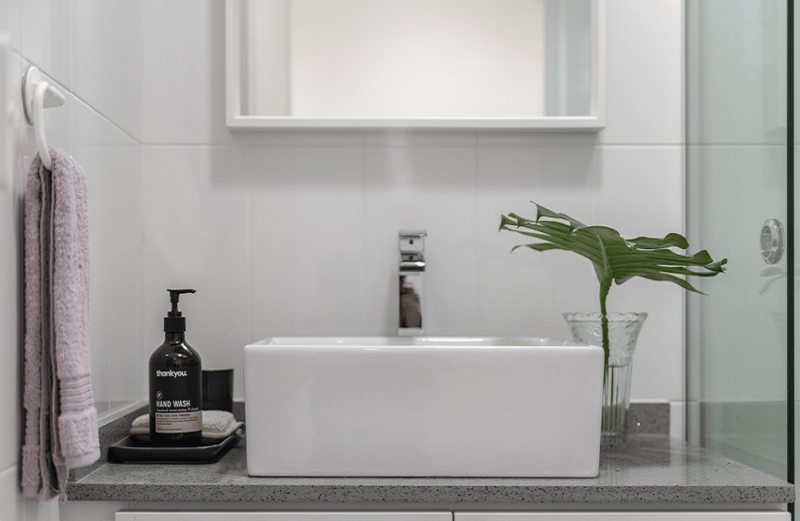 So whenever you’re choosing your vanity, you must always make sure that the sides of the countertop always have enough space to feature your soap tray. If not, then you’ll have to install a glass or plastic (preferably glass) holder underneath your vanity mirror to make the most of this functional aspect! Using small constraint tile patterns in a bathroom can create a lot of visual clutter. So whenever you’re looking to inspire a pattern or texture tile in such a space, always go for the ones with large, smooth or generic patterns. The dotted patterned wall in this image is a great example – it’s simple and unique at the same time. Once in a while, you come across clients who do not want separate wardrobes or dressers in their rooms. 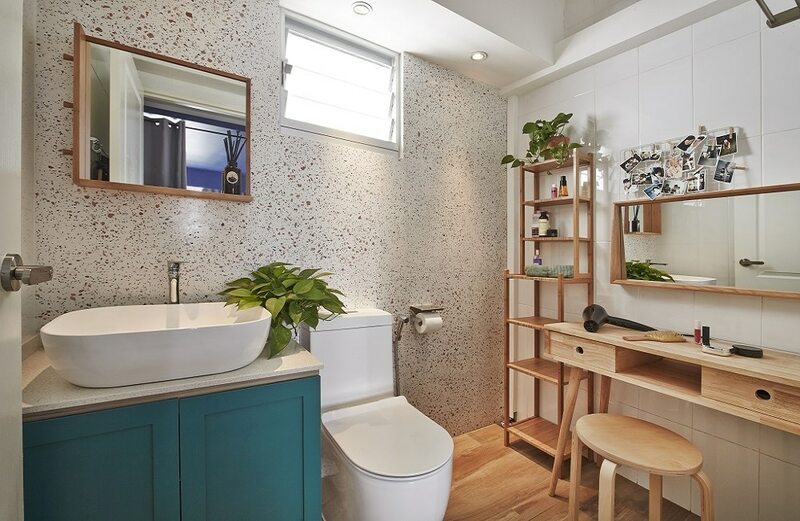 For them, you can carve out a small niche inside the bathroom and install a small dresser and a stand-in shelf which can be used after the shower.